THE IX20 1.6 SE 5DR AVAILABLE FROM £191.68 PER MONTH WITH A £750 DEPOSIT CONTRIBUTION! We spend our lives in boxes, so why drive one? 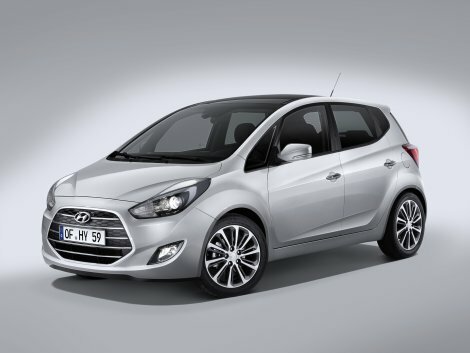 With the ix20, Hyundai have proved that not all spacious cars need to look like boxes. As easy on the eye as it is aerodynamic, the New ix20 features our Fluidic Sculpture design, so you'll find smooth curves and flowing lines instead of sharp corners.Take a look at our Hyundai ix20 Personal Contract Purchase (PCP) offer below, then enquire about a test drive at any of our Endeavour Hyundai dealerships. You can read more about the specification levels of the Hyundai ix20 by clicking here. Offer available from 1st April to 30th June 2019. T&Cs apply. Subject to status.18s or over. Guarantee may be required. Hyundai Finance, RH2 9AQ. At the end of the agreement there are 3 options: (i) Part exchange the vehicle; (ii) Pay the Optional Final Payment to own the vehicle; or (iii) Return the vehicle. Further charges may be made subject to the condition or mileage of the vehicle.​Model picture for illustration purposes only. Finance subject to status. All monthly payments subject to revision based on the presiding residual values of the vehicle. Terms and conditions apply. For vehicles registered and delivered between 1st January and 31st March 2019 while stocks last. You will not own the vehicle until all payments are made. Applicant must be 18 or over. Guarantees/indemnities may be required. At the end of the Personal Contract Purchase there are three options: (i) Part exchange the vehicle. (ii) Pay the GFV (Guaranteed Future Value) to own the vehicle of (iii) Return the vehicle. Further charges may be made subject to the condition of the vehicle. Hyundai Capital UK Ltd T/A Hyundai Finance RH1 1SR.